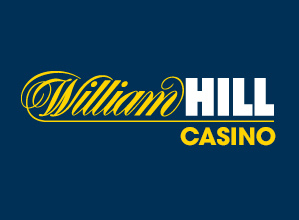 William Hill is suing FanDuel - Find out about the situation! No matter how good the sports betting market in New Jersey is, there will always be some drama paying out in a courtroom somewhere. With that said, UK-based William Hill (WH) is suing NYC-based FanDuel, accusing them of copyright infringement. In other words, WH is accusing FanDuel of copying their “How To Bet Guide” for new players. So, this isn’t too serious or alarming. Although WH seems pretty upset about it. On that note, we must not play sides and let the courts decide. After all, we live a society that has one of the best legal systems in the world. According to sources late last month, WH officially filed the civil lawsuit against FanDuel in an NJ federal court. The claims against FanDuel were for printing the “How To Bet Guide” and distributing them as pamphlets. WH also claims FanDuel made the guide available online. After looking further into the claims, the guide was very similar, but definitely not 100% the same. Although the guide to sports betting is pretty similar regardless of the book, you choose. But in this case, FanDuel didn’t remove WH’s name from one of the sections in the guide (oops!). As a result of that, WH is now looking to be fully compensated for the damages that they claim this has caused. In fact, WH is seeking a jury trial. So as this continues to unfold, we’ll patiently wait until the courts make their final decision. In conclusion, legal battles are an ugly reality, regardless of the subject. Although this one kind of hits home because things are going so good in New Jersey. And of course, things will continue going well because there’s much more positive energy in AC right now than this. There’s no doubt about it, FanDuel is a reputable sportsbook in NJ with a huge loyal fan base. After considering that, plus the fact WH considers FanDual as a rival in the industry, it’s clear that competition in the Garden State has reached a new level. So, let’s hope this doesn’t become a competitive local trend in NJ.